Stan B. Mikelsavage Sweet but I bet it weighs a ton. Damian Moss I've never seen one with a plexiglass neck!!!! Brian Tourville That's Instant Collectible as it's a Fender ..
Michael Segler Damian, me either.. have seen the plexiglas body, but not w/the neck. Michael Segler I would have to agree w/Damian.. 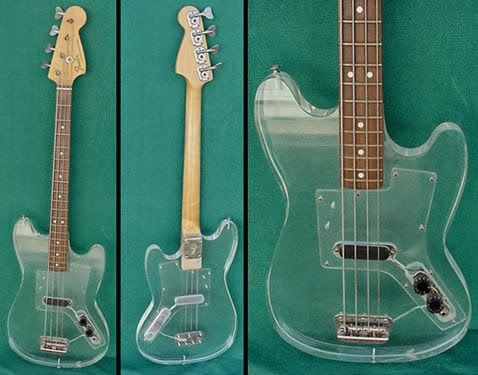 I can't imagine the acrylic is much of a good 'sound body'... that's the reason they only use certain types of wood for the guitar body construction. Retro Kimmer but...it looks so cool! I had a Dan Armstrong lucite bass I bought in 1969. it never yellow through the years and stayed in tune very well,loved it.I was 16 years old When I bought it, and I had a stolen 3 years ago. it's like losing an old friend. Maybe I'll find it someday. 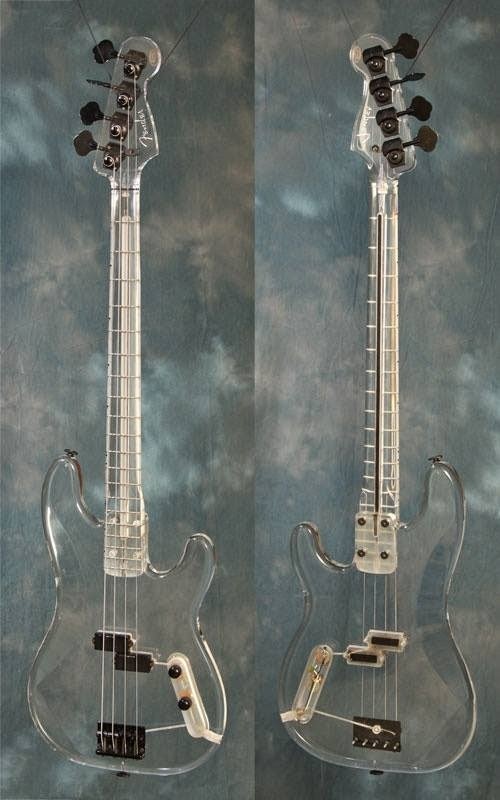 I have a lucite P-bass with a Jazz neck (made by Mojo guitars in '96.) I've toured with it, used it in the studio and it never goes out of tune. Never yellowed a bit after all these years (I'm original owner.) It weighs a LOT tho! I mean, you feel it on stage. I always felt like the lucite resonated the tone a bit. Almost like a top, bright octave to the bottom sound. Super great looking Bass that made more than a few guys offer to buy it. ANTIGONE RISING AT CALLAHAN'S MAY 30TH! GEORGE MORRIS & THE GYPSY CHORUS!